FYI: You can 3D-print a heart valve that can save someone’s life from the same phone you used to swap faces with the guy on your oatmeal box. Yeah, so maybe it’s time to check that out and all the other crazy stuff you can do with that marvel of modern ingenuity sitting in your pocket… you know, besides swiping left and right. 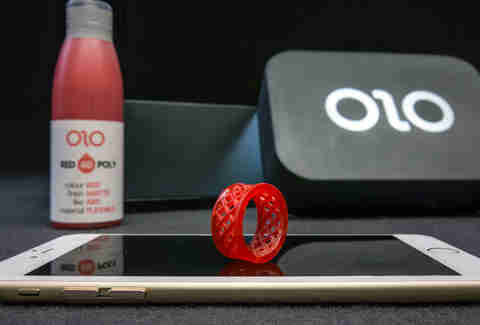 Believe it or not, the light from your phone, the same light that allows you to take front-camera selfies, hardens the liquid resin in the device layer by layer with the OLO 3D printer. Just download the app, pick what design you want to print, whether from OLO, a third-party designer, or by running an object with a 3D scanner to make your own. Pour the resin and stick your phone into your device and in a few hours, you’ll have your own 3D miracle. While it won’t pay the bill, the Plates app streamlines the process of splitting the check. It allows you to assign the cost of each item to different people, add in communal dishes, and then calculates the tip and each person’s share. No more confusion over who’s paying for the guac. Best of all, it’s free, so it saves you a few bucks before you even use it. 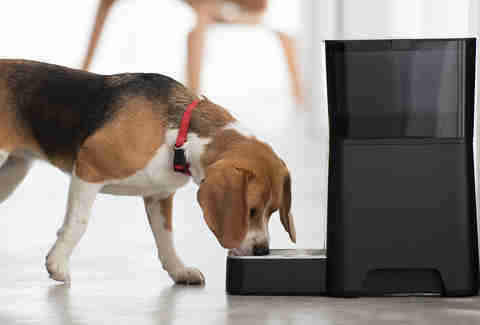 Not only will you be able to control when your pet is fed with the Petnet SmartFeeder app, but you’ll be able to match your fuzzy friend with the best pet food and have it delivered to your door. Choose wisely lest your little puppy with a Goku-sized appetite ends up becoming a sack of rolls with a tail. Hello, heat vision. Download the FLIR One app and physically attach the module onto your phone and you’ll have vision like the Predator in no time. Use it for home maintenance, like checking to see where heat has been escaping through your windows or finding the cat that’s been hiding behind the couch for six hours. Capture, save, and send these images through the app on your phone. No sweet self-destruct system, though. Not sure why your "check engine light" is on? The Automatic App comes with an adaptor that plugs into your car's diagnostic system, allowing you to access data from engine sensors. If it’s something simple like a loose gas cap, you can fix it yourself, and if not, the app will direct you to a list of professionals in your area who can help. 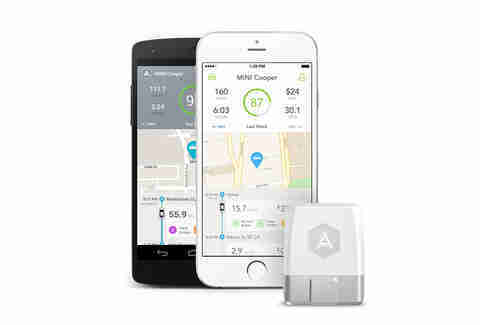 It also measures your driving and gives you feedback on how you can improve in ways that will help you save money on fuel (like slowing down). Not sure where you parked your car? Use the app for handy things like finding your parked car and receiving fuel warnings that’ll make sure you never get stranded on a road trip with no gas (because that’s how horror movies start). If you think the days of riding in spaceships made of cardboard are long behind you, think again. 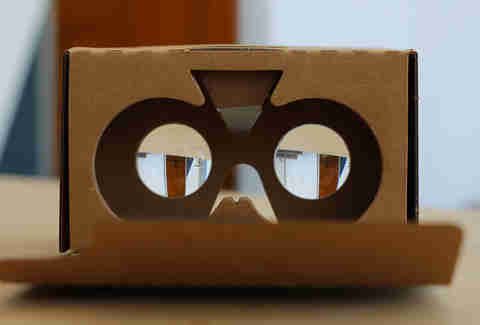 A homemade cardboard viewer, for the rest of us who don’t want to part with a limb to buy Oculus Rift, is a DIY answer to virtual reality, turning your phone into a screen for VR goggles. You can buy or make the cardboard viewer yourself, and then find the right app for your VR experience -- whether that’s floating around in the cosmos or feeling like you’re on the beach. 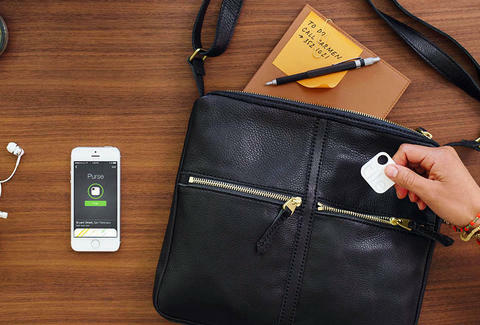 It’s easier than ever to kick someone to the curb with August Smart Lock, a smart key that allows you to create virtual keys for guests (and subsequently delete guest access when even the couch is too good for them). Not only do you have the power to lock and unlock your door without trying to dig your keys out of your bag, the app also sets you up with an activity log, showing you who has entered or left the house based on their unique user key. The lock attaches itself on the interior side of the door and replaces only the interior portion of the deadbolt, which you can do with a simple screwdriver. 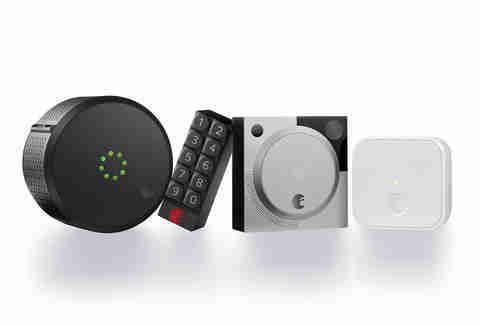 The whole thing is bluetooth operated, and will even automatically unlock when you arrive home (you can turn that feature off if you want). If your phone is dead, you’ll just have to use your keys like a common barbarian. This article is Sponsored by Capital One. Capital One does not provide, endorse, nor guarantee any third-party product, service, information or recommendation listed above.